To millions of people in the world, rice is the center of existence, especially in Asia, where more than 90 percent of the world's rice is grown. This book is about the trends and changes that have occurred in the Asian rice economy since World War II, but particularly since the introduction of new varieties of rice and modern technology in the mid-1960s. Although there is now a vast amount of literature and statistical data on various aspects of the subject, no single comprehensive treatment has previously been prepared. 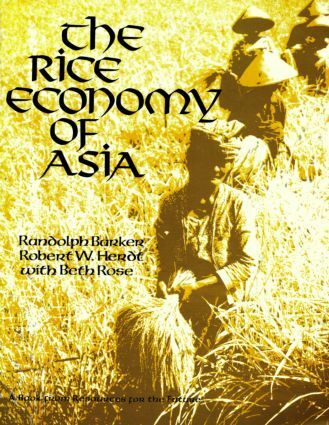 The Rice Economy of Asia not only provides such a treatment but also presents a clear picture of some of the critical issues dealing with productivity and equity --- as a glance at the table of contents will show. In addition to 18 chapters, there are an extensive bibilography, 150 tables, and 50 charts. The volume, as a whole, should be interesting and useful to decisionmakers at national and international levels, to professionals, and to students of development. WHO BENEFITS FROM THE NEW TECHNOLOGY?